Android Project Ideas for beginner and final year student is the base of this post. I have researched the Android project ideas and giving you the list with a brief introduction of each. I tried to cover major ideas here. It may be that I have missed something in this list. If you think you have a better idea or your idea is not available here. Kindly put your idea in comment box available at the bottom of this post. So that I can update the existing list. Your attempt will be appreciated. I have also listed the PHP project ideas you can also use this list to choose your android project. Android is a Linux based mobile operating system which is powering more the 200+ billion cell phone. Future is bright in Android App Development. If you have potential to develop the useful Android application, you will get the smart amount. Previously I used to build the web application, From 2012 I started Android Development. I really increase my monthly earning 9x times. I have built more than 20+ Android develop for college students' final year Project. You can find impressive testimonial here. Which reflects the quality of my work. I love to help the needy people. But I charge for that. 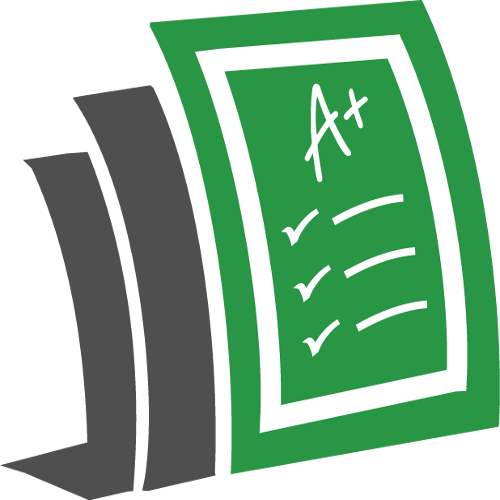 For Beginner level, you can make the Quiz application android project. I will be easy for you if you know how to do database programming. You can only make this application without using a database. But I don't like it without online database connectivity. Wait don't be confused. I am simplifying it. Quiz Application Android App without online database connectivity. In this project, you need not connect your android app to your online database. It will be easier for the beginner, and I don't like it. Because you have to fix a limited number of question. Once a user installs your app. There will be no control on your hand. Quiz Application Android App with online database connectivity. It will good for the final year android project, and it will be little significant. In this Android project, your app will have two interfaces android app interface and web app interface. Your Android app will be connected to your web app. You can push your information(Content or News or Questions) from the web to all installed android app to your customer. It will give you the freedom to update new questions and new quiz category. It is coolest and my favorite app suggestion for the beginner. To make this project you need not any database programming pure android API knowledge is sufficient. There are many excellent examples of reminder app available in Google Play Store. You can find there and test on your smart phone or tablet. I believe perfection never exit. See the example and consider the cons and improve that cons in your app. Your Android app will be better. I guess have you heard about WhatsApp, Hike. It comes with the smart messaging app. You can also create the app like these for your final year android project. You can add the features to your app according to your requirement. Let me discuss one important thing with you. One day I was talking to my friends. They advised me to create the personal version of WhatsApp. I designed it and distribute it my friend, and we are using it and enjoying. You may think that It was a stupid idea for creating the same thing again. But I don't believe. I just want to build some thing which makes me happy. So I make it. I am giving the feature of my app. Ring notification for someone when he will call you. I am continuously improving it day by day. It may be that I will launch it near future, But we have no plan to make it public now. Try to build your own. If you are facing the problem. App locker Android project idea is a very killer idea If you can make good quality and secure application. We don't like to share our smart phone to our friend. But sometimes if your best friend asks your phone, you may not refuse. We all have some private stuff or the stuff you don't want to share. In this case, App locker comes into the light. There are many good app lockers is available on the market. But you can make your own. This android project may have these features. I think I need not tell you anything about it. You all may be familiar with it. But If I am writing this post on Android Project Idea. It is my responsibility to tell you all about it. Dictionary Android Project is the easiest project which you can make. But as much as you will increase the functionality of your app. It will be complex. Faculty to report the bug. Have you heard about Amazon? What is Amazon? I believe most of you can answer. My Answer: Amazon is a biggest online shopping site. Where you can buy the different type of goods cheap and easily. You may think why I am discussing it here. Just calm down and Listen I never waste your time. I discuss it here so you that you can understand what I want to say. In 2014 Mobile usage is increasing dramatically. So the companies like Amazon are focusing on the mobile user. So They developed android application for their e-commerce site so that they can cover these customers. You can also create your own Android project in Android Online Shopping Project. You can sell your goods and services using your Android application. Seems exciting, Just do it. Traveling management system android project is entirely based your task or business related to Travelling. This android project idea is for a traveling agency to manage their customers' trips, customers information, and payment trips details. There is a much right Travelling company, and their Android apps are available in google play store, Just download and check. It will inspire you and motivate you to develop your Travelling Android project. Best Travelling Information should be accessible to the user. Tips for safe traveling should be accessible. Everyone wants to book their movie tickets faster and smarter way through the smart Android app. The movie ticket booking system android project is coming up with all the requirement of the user and provides a relaxation from the long queue of cinema’s counter. Not only this app book your ticket but also it gives you all the information about movie’s schedule and upcoming films. In today’s world, our messages and our status are stretched throughout the world in the speedy and accessible manner by using Social Networking sites like Facebook, Twitter, etc. This android project provides the possibility of all the features of social networking sites into one single app. After installing the android version of Social Networking sites, we can enjoy the messaging and other activity on Mobile in a fire faster and smarter way. ‘Internet Download Manager’ everybody knows about this desktop application. It provides high speed downloading and resuming capabilities. If you are on the road without your laptop, but you have your smart phone with you than the android version of download manager will help you to download your precious file with fast speed. This Android Project helps the user to download any files more smartly and quickly. the answer is NO because in today’s scenario every person busy with their work and forget to remember their own small task then why they can remember your job. You need a personal assistant to do this task, but it will be costly for you. This Sticky Notes android project help you to remember all your personal responsibility from the first day to the last day and forced to remind you again and again to remember your task. Course recommendation android app is a unique app idea for your final year project. It is especially applicable for your the university and college where a student has freedom to choose the subject of their choice. An Android based application that makes administration faster and smarter. With the administration becoming quicker and smarter, people are going to have an easy time traveling through roads and accessing various government based services. Android application will remove roadblocks and will empower growth. Android Civil Administration Reporting System can help administration manage better control over traffic, water plants, and electricity grids. Department can acquire access to separate lists, reports, and schedule through one application on their phones. A health sector based Android application that can enroll various government based health centers and provide information at a central level. With the android-based request for all health centers; not only people will be able to acquire better information, but the government too will be able to provide better services to people. A smart health consulting android system that can bring all medical agencies under one roof will help people find which doctor is available where and make choices accordingly. Such android project ideas will give more power to people and make lives simpler. In the case of emergency and accidents, people will be able to realize which hospital has an empty bed and rush to the one without delaying any further. This one idea will go viral as soon as it is implemented. The world has grown lazy, and everyone is looking forward to accessing all the information and services on their phone instead of using a personal computer or a laptop. With PC Control By Android Over Internet application releasing people will be able to access all their data from the phone, tablet, and laptop on one device, which will be a path breaking development. Taking security to a new level with android password based remote door open system. Homeowners can have an android app that allows you to open doors, gates and manage access to windows. This will not only restrict unauthorized entry but will also prevail a sense of security among peers. Students and developers will have to work really hard on this android project ideas to make it a reality. Hard work is going to be paid because people in the contemporary world are always looking for better security features. Pet feeder integrated with the Android application is one of the most ambitious android project ideas to pursue. People from around the world are worried about their pets while being at work. A new Android-based application that integrates with pet feeder provides individuals with a live stream of their dog’s activities and also allows them to interact with them. The world of dogs and dog lovers is going to be a much better place with this Android project idea turning into a reality. This android application can also manage meals provided by pet feeder. This is one of those rare android project ideas that can be pursued in multitude patterns. One can make it for administration and the other could make it for people. An android application for authority that allows them to find everything related to one person and his similar law reputation. While the other developer could build an application that helps people search, find, read and understand laws all by keyword, terms, and semantics. This application will not only save administration’s research time but will also help people live in a more informed and aware world. With such Android app for people; police based discrimination and corruption will see a new low. Connect to the Library Wi-Fi enter name of the book you are looking for and locate its position on your phone. Students, professors, and lab assistants are going to have a great time using this amazing android app. 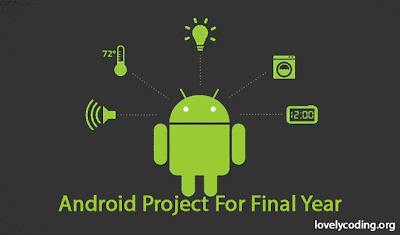 This is one of those few android project ideas that can be developed during college days and be implemented. People are going to have a great time using this application because finding one book among millions is definitely a mammoth of the task. Android vehicle tracking application will disrupt the parking management system. With new and efficient application coming in the old and decrepitude system will turn obsolete; which is actually a good thing for the world. With the Railroad vehicle tracking application, people will be able to locate their vehicles easily and follow the route on their phones to find their vehicle in actual parking space. This one application is going to solve the huge parking problem at giant offices, malls, and public spaces. The application will also provide people with empty space information. This surely is one of the most futuristic Android Project Ideas to work upon. An android circuit breaker is a solution to all electric malfunctions in the world. One can use their android phones to break circuits every time they feel something fishy is going on with their electric connection. An android application for circuit breaking will save a lot of lives and property. Solving the centuries old problem with the help of technology; a voting system that prevents people from visiting polling booths. An Android voting system will not only help the government manage elections better but will also change the way enterprises work. Colleges can also make the best use of such a system for election campaigns. It is going to be a lot of fun and less hectic. Centralizing all services is one of the best ways of solving problems. By building an android blood bank that solves problem-related to the availability of blood can help people save lives. We can always acquire details whether the blood is available or not and if available then at which blood bank. This is one of the best ideas to work on and turn into a reality because the world is in dire need of it. With people working harder than ever the time to rest has decreased. People are constantly tired and are dependent upon technologies for getting their work done. A home automation using Android system will allow people to open windows, close doors, control AC temperature and switch TV off from their bed. People will be able to get everything done through their android phones that too without leaving their bed. This surely is the future of home management. Android local train ticketing project will help people book metro tickets and tickets of other local trains with great ease. The efficient manage of application will reduce the queues at the station and parking lots. People will be able to book their tickets on the go and save a lot of time. This surely is one of the most needed android project ideas to be turned into a reality. A giant step towards making industries peoples less. With Android controlled vehicle we can manage operations at industries better. An android manager will have to use the application and make the vehicles at the industries move and get the work done. This can be implied to private projects and can be used for reducing human effort or the complications of hiring a driver. With this application, we will be putting power in the hands of students. Student and teacher peer system will not only promote better communication but will allow the users to make the best use of the opportunity and effectively help students. Student and faculties will be able to share documents on time and reduce physical efforts. This application is going to have a lot of projections. Developers can create an android application that allows operators to set the direction of the antenna without touching it and it can also be used to help users identify the current position of the antenna and manage spectrum accordingly. This is one of the toughest android project ideas to work upon when in the final year of engineering. This project is going to help students acquire good marks and fresh employees cast an impressive shadow on their bosses. Robotics has found a lost brother in Android Application. Together robotics and android application are going to help people make dream projects become a reality. The challenges are going to be reduced drastically. One can actually use Android applications for picking up and placing robotic arms and enjoy a real robotic experience. A better mechanical world is just around the corner brace yourselves. The industries are embracing android applications with open hearts. People are enjoying the use of these android applications for managing their businesses and industries better. DC Motor Speed Controlled by Android is as ambitious and difficult as it sounds. One can always depend upon Android applications for managing the speed of motor and increase the pace of production at their industries. Media houses and administration can make efficient use of android-based spy robot with spy camera for taking down on criminals and corrupt politicians. One can always enjoy access to the best of speed manager and direction controller through this application for a better view of the targeted area. This one Android project is going to help developers in the limelight because this will solve a lot of problems. Railway crossing gates happen to be one of the most dangerous crossings in the world. The administration can finally manage these crossings really well. With an Android controlled railway crossing gates, application officers will be able to close and open during the commute of trains with great ease. This application is going to reduce the number of accidents and help people lead a simpler life. People of the modern world are going to find this app really useful because it helps them say more by typing less. An Android application that suggests the whole sentence you are planning to type. This application will make people addicted; life is going to get simpler from here onwards. AN android application integrated with the national database that helps people find and use medical facilities at the nearest. Such requests are going to bring a drastic reduction in the number of people dying because of unavailability of medical services or assistance. Now people can find medical services on NH and visit the place at the earliest for medical attention. All the industries and business houses are going to love this android project idea because of the efficiency it adds to their sales. Now you can track your inventory live and provide your clients with real time update. This is going to change the way service sector works for better. With this system businesses are going to go in profit. Replacing the grumpy ole walkie talkie, this new system is going to help people communicate in campuses with great ease. This one system will empower people to achieve more and more. This is one of those few android project ideas with real marketing capability and can generate thousands of dollars in revenue. The wireless indoor positioning system is about future and better administration. Why android will continue to be the market leader? Android’s popularity is increasing at an unbelievable speed, and it is forcing people to achieve more and more. With the simplified applications that allow people to enjoy access to the best of services, it is getting pronounced that people want more and more of it. The demand is forcing developers and engineers to come up with new breath-taking ideas. The change, which is starting to seep in, is helping people manage their business better. With the increased demand the number of Android applications is also increasing and helping people lead the way simpler life. There’s a lot more these Android applications are going to achieve shortly. Money management, ticket booking, and ambulance calling are some of the best examples these upcoming android projects are going to help us with. 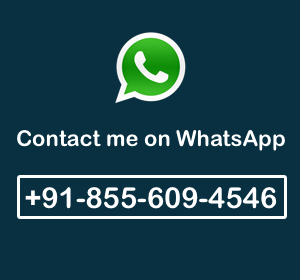 Contact me for Android App Development, Android project help, I am always available for you. I have worked for many students and real time projects, you can find their reviews here.